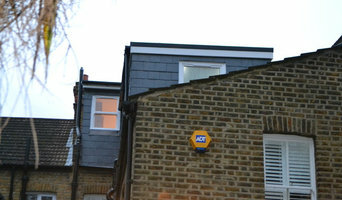 Eclectic Interiors has been established in Clapham in South West London for over 15 years. Specialising in kitchen, bathroom and bedroom interiors, we provide stunning, bespoke furniture and designs for your home. 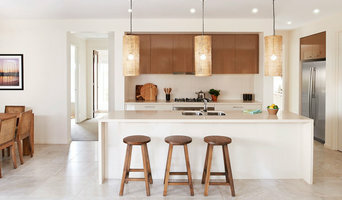 The kitchen is the heart of the modern home and needs to fit your tastes and lifestyle perfectly. From design to completion, we can ensure that the end result will inspire your home. We understand planning a kitchen can seem a daunting task. At eclectic, our highly experienced design team are here to help make the process as smooth as possible for you. We start with the space, whether existing or planned and once we have all the details we will create a virtual three-dimensional walk-through of your kitchen. 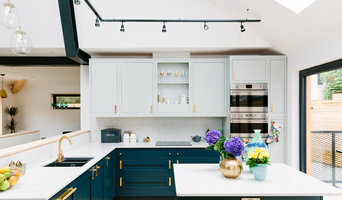 Using dedicated computerised planning software, we create unique plans, elevations and full colour graphic images of your new kitchen, bedroom, bathroom or bespoke furniture. You will be able to see in superb detail exactly how your finished design will look and to make fine adjustments until you are completely satisfied that we have achieved your vision. The service includes advice on work surfaces, flooring and the most suitable appliances for the project. Reach out to multiple professionals — especially for larger projects — and don't settle for the first quote you receive. Comparing multiple London professionals' quotes and experiences can help you find the one that’s best for you. Ask a lot of questions now, so you won't have unexpected answers later. Find a home design professional on Houzz. Narrow down your search by type of professional and location. 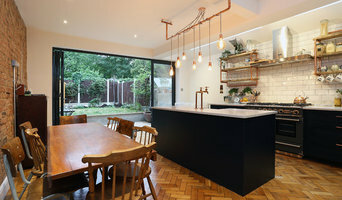 Browse London portfolio photos, read client reviews and contact each home improvement professional for more information. Check out the information in the specialised professional sections too for tips on how to hire the right professional for your project.